So, you might be thinking to yourself: Michael Pope, WTF exactly is this supersecretmaybemovieladidadimatika thing you’re talking about, anyways? Well… It is definitely a movie. Michael Pope is Making a Movie. BOOM. An Experimental Narrative Feature Film. BOOM. It is MUCH MUCH MORE. 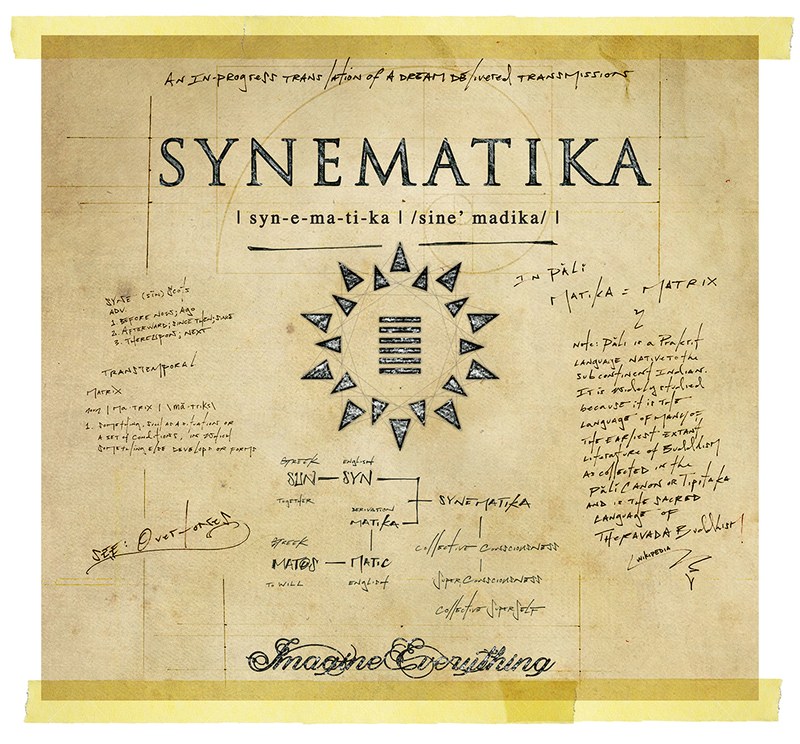 Because while there is a lot of extra content, concepts and collective creative adventures to be had from it all – HOW one discovers that stuff is as important to the nature of SYNEMATIKA as the Feature Film itself. Currently I’m putting the final touches on the first of many crowdfunding campaigns for all of this. In the interim and beyond, you can keep a finger to the pulse of the project here. Various iterations of us will be posting info and stuff and opportunities and calls to action and things related etc. This is going to be some Booty-Shaking, Law-Breaking, Creative Magic-Making of Yes Motherfck happening, people. Suffice to say, I’m off-the-fcking-hook-excited.